I love New York City! (incase you haven’t figured it out yet – you can read about my love for this city and the purpose of this blog here). New York City is my very favorite place on earth! I can’t get enough of it. The unique beauty and character in every neighborhood andthe amazing energy of the city is so intoxicating! Its impossible to be bored in NYC, you can never run out of things to do or things to see. Sometimes I get emails from friends that live in other areas of the country wanting to plan their first trip to NYC and are looking for advice on what to see, where to stay, when is the best time of year to go, how much to budget and to share any tips I might have. Often times people want to plan a trip to The Big Apple but think it’s too expensive. 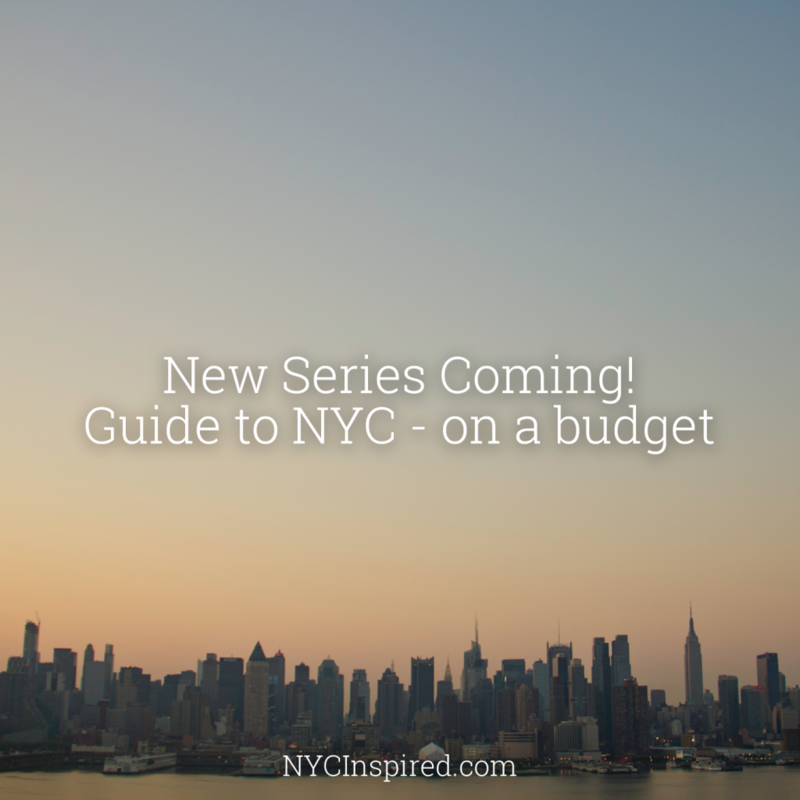 So, starting next Monday I will begin a 7 part series for everyone who is looking to plan their next trip to New York City on a budget! I will share many of my tips and tricks to staying, experiencing, must see’s, and other secrets to NYC! My hope is that every dreamer out there can experience and fall in love with this amazing city like I have! My friend recently took her first trip to NYC. She wrote me while planning her trip and I tried to give her as many tips as I could. This was the beginning of her email when she returned! New York was fantastic!! I now know why you love it much! If you have questions or specific things you want me to cover in this series, make sure to let me know in the comments below!